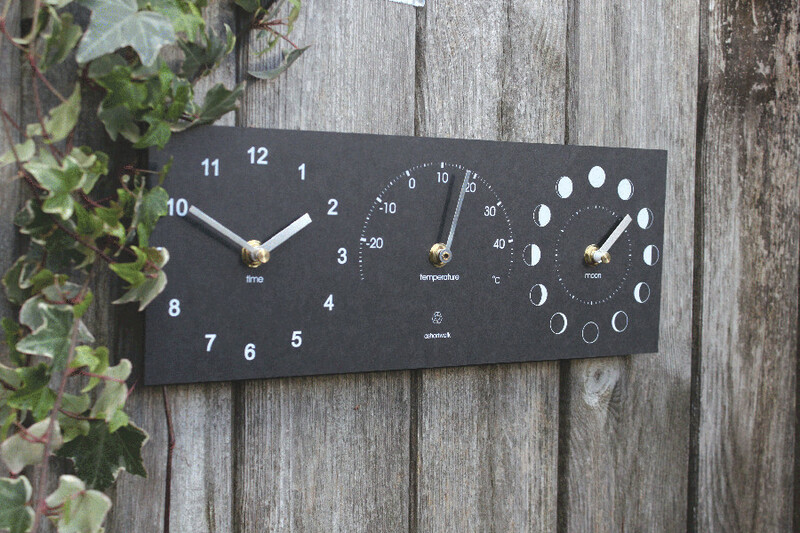 This UK made moon phase, time and thermometer clock is a unique accessory great for any garden, designed to be completely weatherproof to measure the temperature on those – very few – hot summer days. 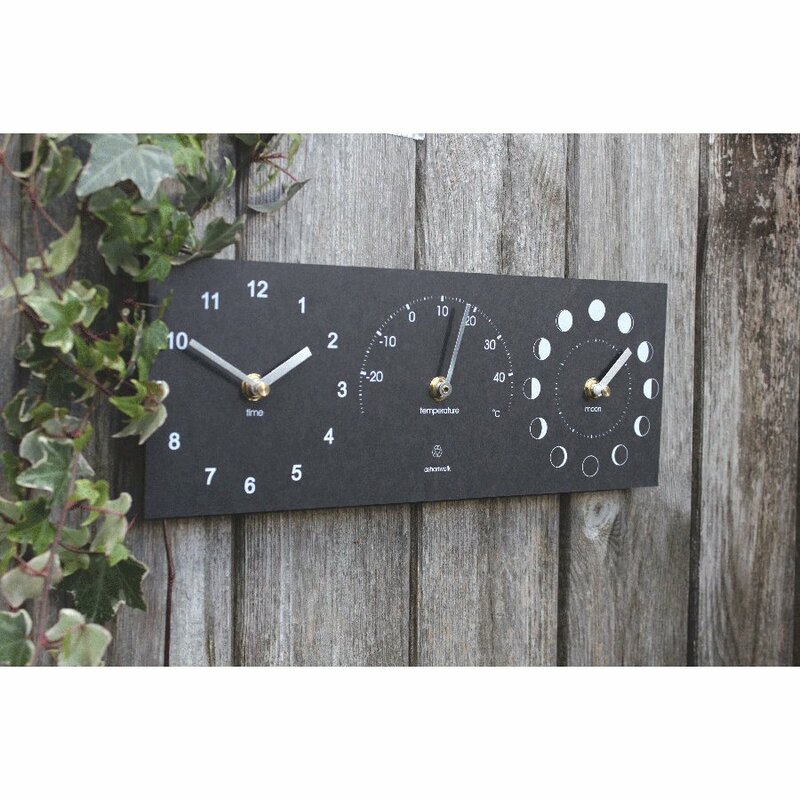 The clock is made from recycled paper packaging and has a solid, slate-like finish and feel with a high contrast design so it can be clearly read from the opposite end of the garden, it’s great for adding a touch of elegance to any home. 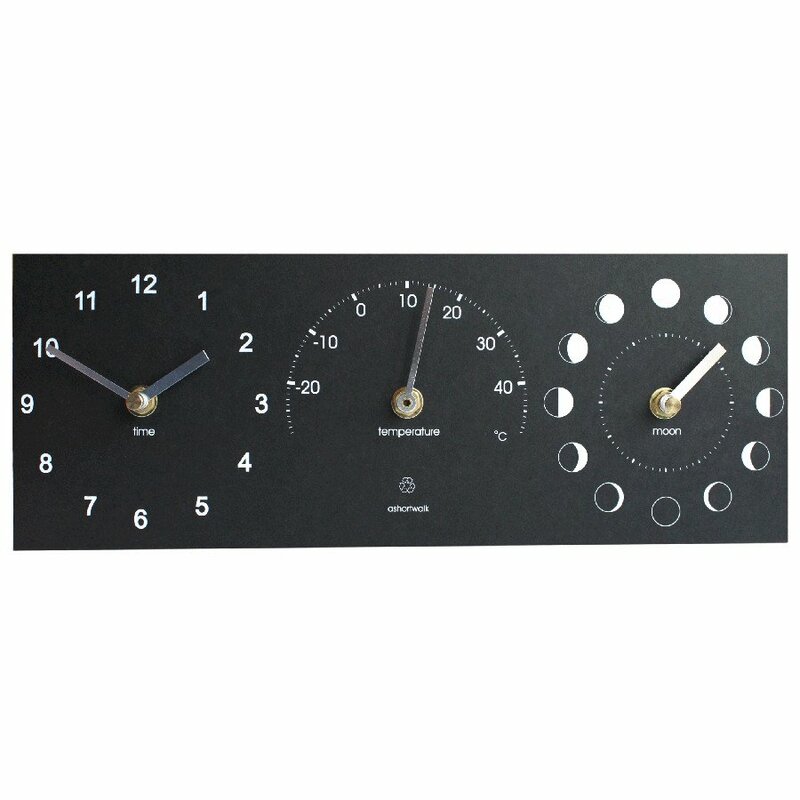 The ECO Moon Phase, Clock & Thermometer product ethics are indicated below. To learn more about these product ethics and to see related products, follow the links below. Q: Is it guaranteed sealed against rain and condensation? A: Hi there, Yes, the clock is guaranteed sealed against rain an condensation. I hope this helps. 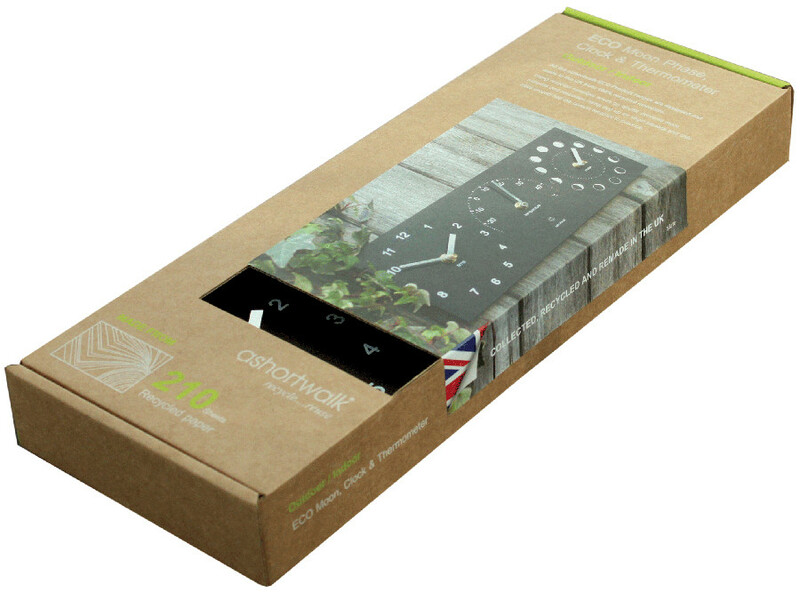 Ashortwalk has been making home and garden accessories near Truro, Cornwall since 2003 when Dan left his previous job as a product designer/inventor at Dyson and moved to Cornwall to set up his own business just a short walk from the sea. All of ashortwalk’s products are made from recycled materials such as coffee cups, plant pots and paper packaging, collected from schemes they have pioneered. 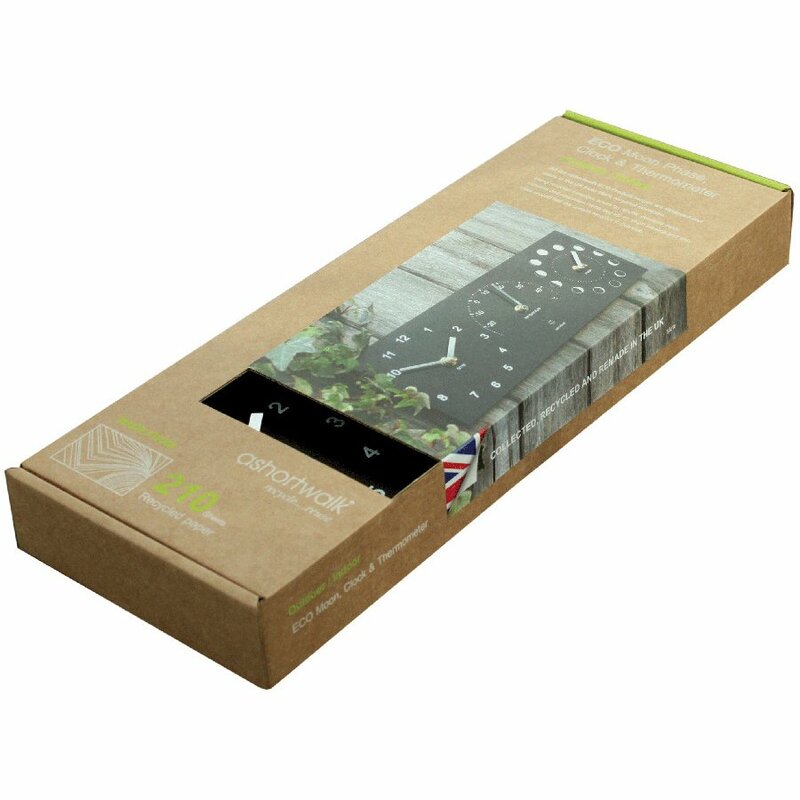 The company began with tide and time clocks but now they offer a range of ECO products for both indoor and outdoor use, great for stylish homes and eco-gardeners.